What I’ve enjoyed most about the course is the freedom given to pursue your own idea of textile design and what can be achieved within it. "The support given through the course has been great and you're really pushed to experiment and try new ideas. Before joining our MA Textile Design Innovation Masters degree, Kayleigh worked as womenswear buyer for an independent company in Cornwall. During the course, Kayleigh entered the prestigious Hand and Lock competition and was consequently announced as the winner of the Wilcom Digital Embroidery category. What made you chose to study MA Textile Design Innovation? “After graduating from my BA degree I didn’t feel like I had quite achieved everything that I had wanted to and after working for a few years the itch finally caught up with me. I’d become more fascinated with smart textile applications and where technology was going. I really wanted to have the time to dedicate to my passion and explore all the ideas I hadn't before. Doing a masters seemed like the perfect opportunity to do just this. Can you tell us a little about your masters work? 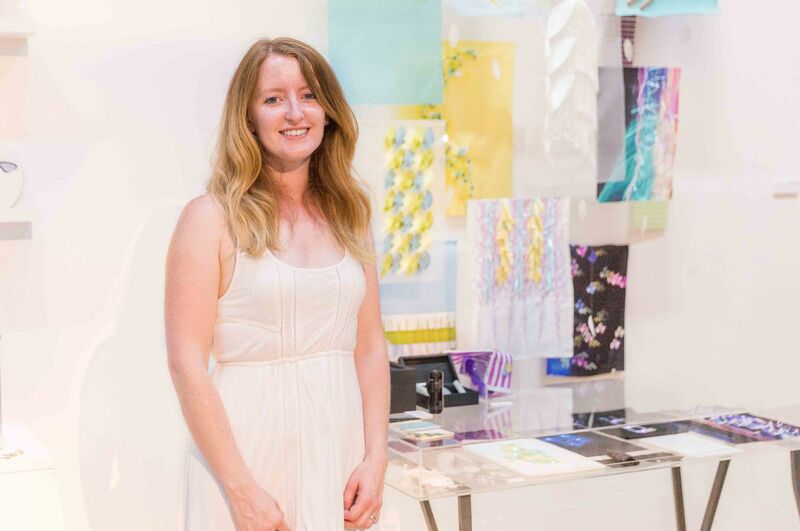 “Through my masters I've been studying how traditional embroidery techniques and technology can be merged together to create innovative designs for the fashion market. For the technology aspect I've worked with digital embroidery, 3D printing, digital printing and smart textile applications. “After graduating, I'm quite open about what path to take next. I would love to work as a freelance designer for a fashion brand or textile studio but equally I'd also love the opportunity to work in-house as well. “What I’ve enjoyed most about the course is the freedom given to pursue your own idea of textile design and what can be achieved within it. How have you found the Art & Design community within the University and in Nottingham? Why would you recommend your course and the School of Art & Design?